Ubicado en un excelente complejo de 4 estrellas y 5 estrellas frente a la playa en Williams Esplanade en Palm Cove, nuestro amplio apartamento de planta baja, dos dormitorios y dos baños cuenta con excelentes instalaciones que incluyen una cocina totalmente equipada y lavandería, bañera de hidromasaje. sala de estar y comedor separados, aire acondicionado, ventiladores de techo, televisor de pantalla plana grande, reproductor de Blu-ray y un aparcamiento cubierto. Relájese en la gran terraza cercada junto a la enorme piscina de la laguna con piscina para niños y spa climatizado en un exuberante jardín tropical. La maravillosa Palm Cove lo tiene todo. Palm Cove tiene una encantadora sensación de pueblo con tiendas, restaurantes galardonados, cafés, bares de copas y una playa de arena blanca bordeada de palmeras con magníficas vistas del mar de Coral. A solo 20 minutos al norte del aeropuerto de Cairns, la región cuenta con numerosos lugares de interés como la selva tropical de Daintree, la Gran Barrera de Coral y el riel de Kuranda. This place was amazing and had everything one could possibly need. Unfortunately mother nature was not very friendly to us as it rained during our entire stay in Palm Cove. I was so thankful we had such a great place to stay as we had to stay indoors. Very clean and accommodating. Thank you Peter for your hospitality. I will definitely return as well as recommend this place to family and friends! We had a lovely week's stay here; comfortable, clean, spacious apartment. The location right next to the pool on ground floor made it so much easier with our two little kids. Easy access. Easy and prompt communication with our hosts. Highly recommend.Would definitely stay again. Perfect accommodation in a beautiful location. The apartment was well located, easy to access and beautifully presented. Perfect for a family holiday. Peter and Santina were very accommodating and easy to deal with. Would recommend to anyone looking for affordable accommodation right on the esplanade and would absolutely stay there again. Our family had a fantastic holiday in Palm Cove staying at this apartment! The apartment was in a fantastic position, close to the pool with an outside area for the kids to play. The apartment was spacious and very clean and the extra bits and pieces, like the pool toys and DVD's were really handy. The resort location is perfect with restaurants and shops all in walking distance. We will definitely stay here again when we return to Palm Cove. We enjoyed a stay here in August with our 2 young children. The location is great, beach right across the road and walking distance to restaurants or anything you'd need. The resort has a quiet relaxed feel and the pool is great for little kids with lots of shallow sections. the apartment was very comfortable and spacious, the kids DVDs and pool toys were a nice touch. 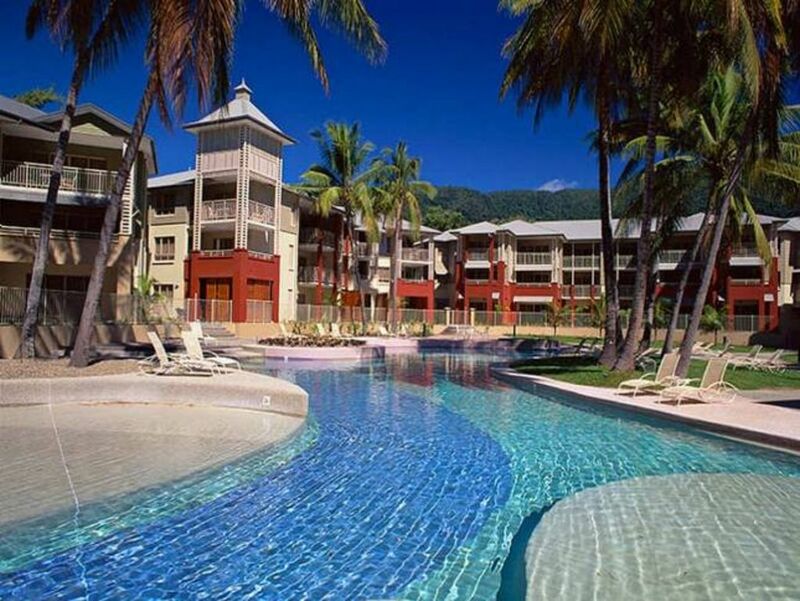 We loved our stay at 100910 Palm Cove beach side resort. The apartment was spotlessly clean and an air of scented fragrance upon arrival. Beds and pillows were really comfortable. Peter and Santina were great hosts, easy to communicate with and very accomodating. The resort is fantastic and in a great location. I would highly recommend this apartment for your stay.